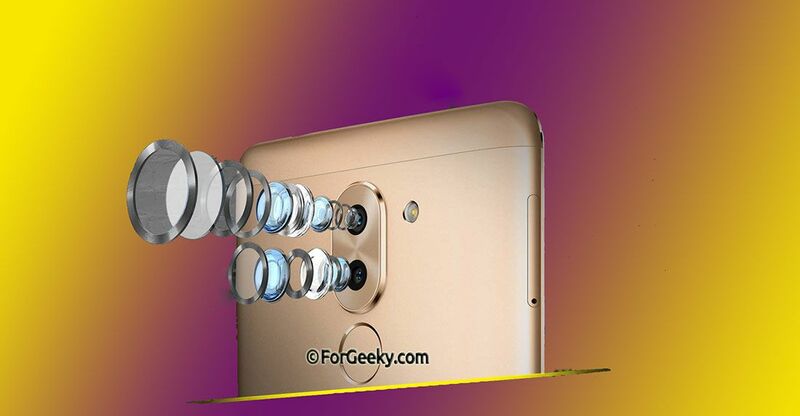 The Chinese multinational networking company Huawei launched its mid-range dual rear camera smartphone ' Honor 6X ' In January 2017. Smartphone developing companies mainly focused on dual lens camera as demanded by many users. People loves dual camera phones which capture stunning photos like DSLR. With dual camera you can blur the image background. Honor 6X comes in 3 different colors (Grey, Gold, Silver) with two specification variant 3Gb ram with 32gb storage capacity & 4gb with 64gb of storage capacity. Honor 6X comes with the full premium metal body. It has 5.5-Inch full HD IPS display covered with a 2.5D curved glass on top with a resolution of 1080 x 1920 pixels having 401ppi (Pixel per Inch). The display provides a good experience during watching movies & playing. Inbuilt eye comfort mode, helps to relieve screen-related visual fatigue. Color temperature allows you to change screen temperature color mode. Customization for navigation keys. 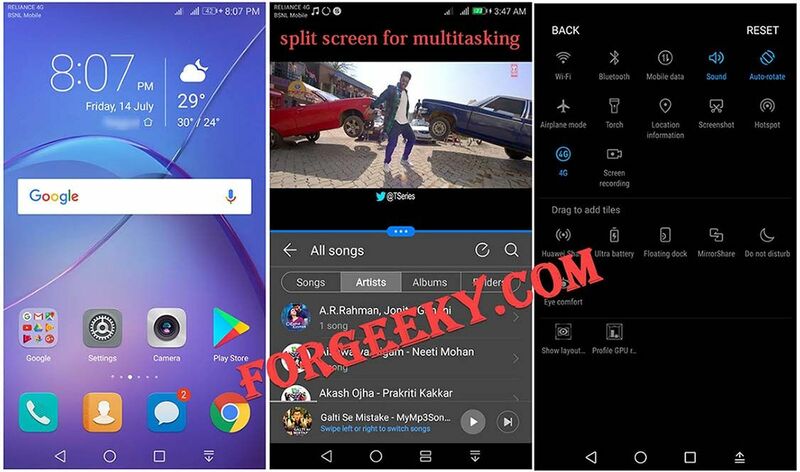 The most feature I like in Honor 6X is you can record live screen without installing any external app which useful for making explaining tutorials for YouTube. Toggle bar also customizable. Although the display isn't fully scratch-resistant. As per price, it can forgive. 8.2mm thin body with the metal frosted material scale at 162 grams. Honor 6X comes with a hybrid dual-SIM card slot, It supports only both dual nano sim card. Outer side edges are smoothly curved. As we go bottom of the device, you’ll find the microUSB port, two grills – one (right side) is for speaker unit, while another one for the microphone. Fingerprint scanner located below the dual camera. There’s a 12MP primary camera paired with a 2MP wide-aperture lens, which allows shooting aperture ranging from f/0.95 to f/16 used purely to capture depth information, that allows giving blur the background of images. 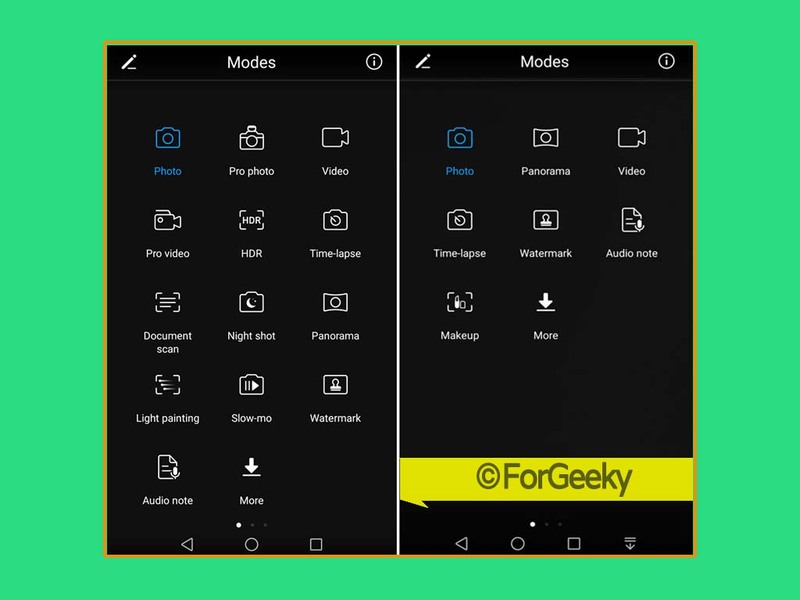 The camera has many effects like pro mode, night shot, panorama, HDR, light painting, time-lapse, good food, watermark, audio note, perfect selfie, document scan for scanning the documents. Phone has slow motion video effect like iPhone but don't give much quality with that effect. 8mp selfie camera integrated with makeup mode. For video recording, the rear camera can either record in 720p or Full HD 1080p. Primary camera record in 720p. The rear camera doesn't allow to record in 2k or 4k resolution. Most reason for choosing this phone for it's big 3340mAh non-removable battery with fast charging feature (Not a quick charging). It takes 2 hours to charge from dead to full. 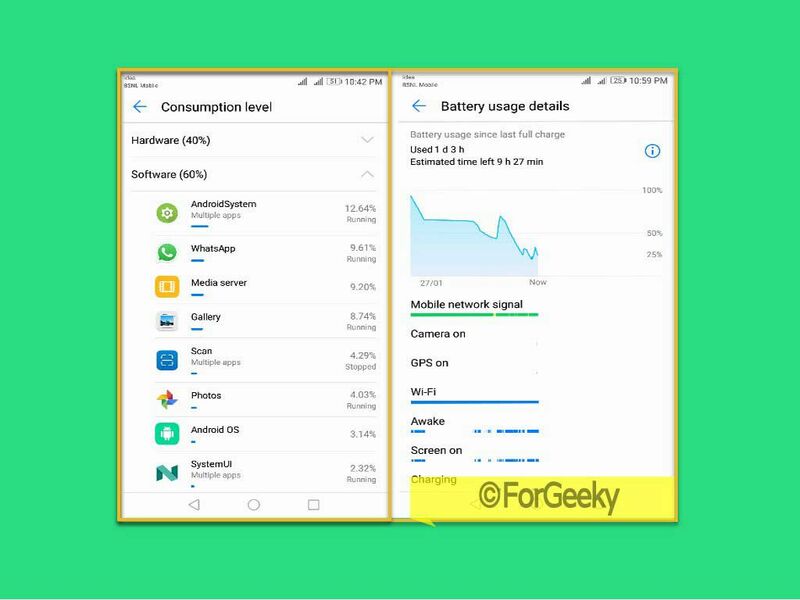 6x has Ultra battery feature that allow to run only selected apps. Huawei claims that the Honor 6X can last for as long as two days with normal usage and for 1.5 days with heavy usage. It uses very little power when in standby mode. This useful for gaming and movie-stuff. I generally charged my phone for 3-4 hour in a day. Overall battery management is good, thanks the Kirin processor. The Honor 6X is powered by HiSilicon Kirin 655 Octa-core processor with 2.1GHz clock speed. GPU is Mali-T830MP2. 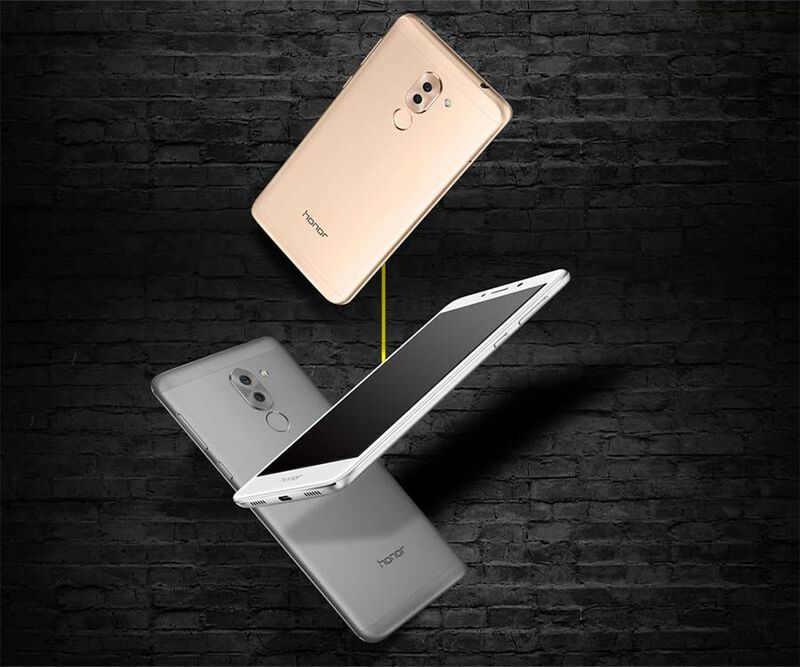 Although the phone doesn't have NFC, It has Huawei share feature, which helps to transfer the files much faster with another Huawei phones. Volume rocker buttons are little hard to press. Phone support 4G LTE with VoLTE voice-calling support, Bluetooth v4.1, Wi-Fi 802.11n. Honor 6X also support OTG. Out of 64Gb, 53.2Gb is usable. Its Fingerprint scanner is very effective, you can unlock your phone in 0.3 seconds. 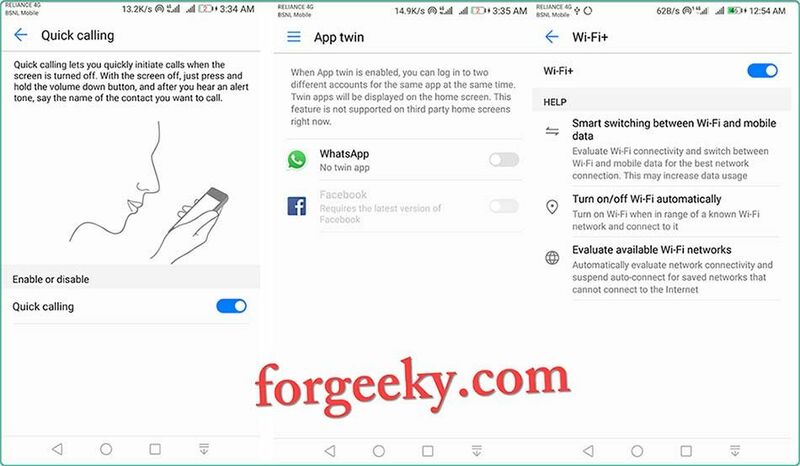 Apart from unlocking the device, the fingerprint scanner can also be used to browse photo album, capture photos and videos, answer a call, long press to turn off an alarm clock, swipe down to open notification bar. These features allow accessing device with one hand easily. Its different sensors are, Ambient light sensor, Accelerometer, Compass, Fingerprint, Hall effect sensor, Proximity & finally Phone status indicator rest on the top left corner. The phone runs on Android 6.0 Marshmallow. 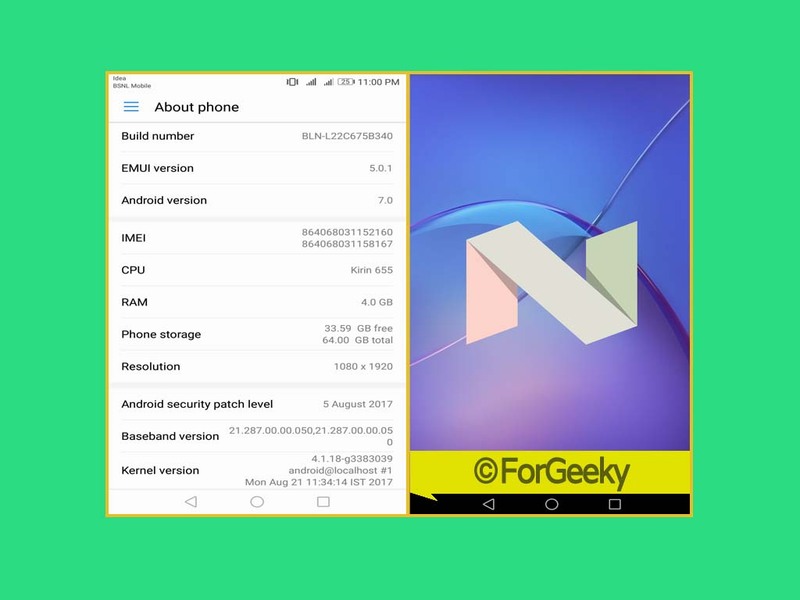 Finally, Huawei lanced it's official Android 7.0 Nougat from EMUI 4.1 to 5.0.1 for 6X. I love its user-friendly UI. Honor 6X has the unique feature, automatically changing wallpapers every time as you press the power /sleep button or by shaking the phone. OR It can be changed manually. Honor 6X supports quick cleaning notifications. The phone comes with some pre-installed bloatware app like Booking.com, TripAdvisor but these can be uninstalled manually. Pre-built phone manager app helps you to optimize phone performance, cleaning cache, battery saving mode, app lock. With blocklist you can block unwanted calls and messages. There is integrated virus scan powered by the Avast. Wifi+ help for better data connectivity, Inbuilt video player have playback speed feature. Data saver mode easily help you for managing the mobile data and simultaneously offer the data tracking. As the power of Nought, 6x have split screen for multitasking. And Finally, quick calling feature allows calling within your contact list with a voice. Enable it from setting. Hold volume down button till 'beep sound' when the screen is locked. 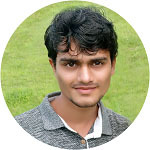 Its design and look are quite good. Dual cameras are decent for better photography, The overall performance better doesn't give any excuses, It heats sometimes while charging; not normally. I played heavy games like asphalt 8 Airborne, Modern combat 4 without any lagging. The device has a long lasting battery, a smart quick responsive fingerprint sensor. latest android update, Lots of storage and ram. Overall better performance than mi note 4, If you're looking for a budget phone with more features. You should try this one. Get It to your pocket from Flipkart, Amazon store. Best mobile I have used.